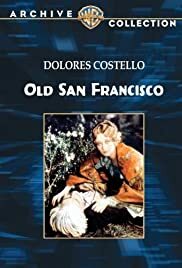 In San Francisco, a villainous land owner with underworld connections seeks to steal the property of an old Spanish family. A nobleman studying for the priesthood abandons his vocation in 18th Century France when he falls in love with a beautiful, but reluctant, courtesan. A gunslinger looking for a quiet place to settle down becomes entangled in a romantic triangle and the hunt for a gang of cattle rustlers. Dolores Vasquez: My grandfather was right - blood will tell. I have seen this movie several times,and noticed things which other viewers have possibly overlooked.The main insults toward the Chinese come in a few tactless subtitles,and subtitles were often written by someone other than the plot writer.The Chinese are clearly shown as victims,particularly in the scene where the dignified leader of their businessmen stops his younger colleague,understandably enraged,from drawing his knife,reluctantly retreating before superior power.Certainly the Caucasians businessmen with whom Oland is in league are obviously no better than him.The scene with his brother is very telling.The brother is physically hideous,deformed to the point of seeming to be scarcely human.Oland is the epitome of the elegant,dignified "gentleman".Yet in that conversation,and later, it is obvious that it is Oland who is the dangerous monster,while his brother is the decent,honorable man.A very pointed lesson in not judging by appearances.What was obviously intended as irony is the part where Oland burns incense before the images of his gods,hypocritically begging "forgiveness" for the crimes against his own people ,including the ones that he intends to commit! His brother, his patience tried beyond endurance, sneers at him,"Monster,there is not enough incense in the world to hide the stench of your crimes from heaven!". HOW TRUE!And horribly common is such sickening hypocrisy today.Oland may not be in public office,but he is the very model of the typical POLITICIAN,a plague that afflicts all countries and all peoples.